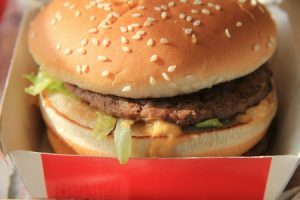 Burger King Personal Injury Claims Guide – How To Claim Compensation For A Accident At Burger King? – How Much Can I Claim? If you have fallen ill or suffered an injury whilst visiting a Burger King restaurant then you may be eligible to make a personal injury claim. Burger King have a duty of care to both their employees and customers to maintain a safe environment and to provide food that is safe to eat. If the company’s negligence results in injury to an individual then compensation may be due. Speak to one of our helpful advisors to find out if you may be eligible to receive compensation following an accident in a Burger King. Call us today on 0161 696 9685 or contact us via our website. Read on to find out more about accidents that can occur at a Burger King restaurant. How Are Personal Injury Claims Calculated? What Considerations For Health And Safety Or Duty Of Care Does Burger King Owe? Burger King is a huge international chain of fast food restaurants, enjoyed by thousands of people every day. On occasion, a trip to a local restaurant or fast food outlet could result in an injury that could have been prevented. Customers may receive burns and scalds, food poisoning or even broken bones following a slip, trip or fall at a restaurant. Employees are also at risk of injury whilst at work in a restaurant kitchen. Spillages and hot oil burns can occur when health and safety policies are not properly implemented. If you have been injured either as a customer or an employee of Burger King then you may have a claim. Advice.co.uk are happy to help you to make your personal injury claim and provide you with a lawyer that can help win the end compensation that you are entitled to. Contact us today to see how we can help you. What Is An Accident In A Burger King? Burger King franchises are busy restaurants with a constant stream of customers and many staff working to fill orders in the kitchen. Slips and falls at different fast food outlets and restaurants are common and regularly caused by wet floors that have been recently mopped or slips in a kitchen due to oil spills or wet floors. The risk of slips, trips and falls is higher if warning signs are not used. These type of accidents can lead to serious injury. Burns are another type of common injury that can occur at different restaurants and fast food outlet. Staff are working with hot oil and customers are being served hot liquids. Although there is no real substitute for getting an accurate estimate from a personal injury lawyer based on the facts of your case, this alternative to a personal injury claims calculator can help you to get an idea of the damages you may be entitled to following your accident. Brain/Head Injury Very Severe Brain Damage £247,280 to £354,260 Top bracket there may be some ability to follow basic command, no language function, no meaningful response. Brain/Head Injury Moderate to Severe £79,530 to £247,280 Concentration, memory and ability to work are affected, intellectual deficit to permanent vegetative or minimally conscious state and severely disabled. Neck Injury Moderate to Severe £6,920 to in the region of £130,060 This type bracket includes soft tissue injuries that may increase vulnerability, severe disc lesion, cervical spondylosis to fractures, dislocations, disc damage causing disability to incomplete paraplegia or resulting in permanent spastic quadriparesis. Neck Injury Minor Up to 2,150 to £6,920 Recovery within 3 months to the ability to function every day, associated injuries such as the back, need of medication to control symptoms and so on. Back Injury Moderate to Severe £10,970 to £141,150 This range of compensation would be for soft tissue damage, aggravation of existing injury, crush fracture of the lumbar vertebrae, fracture of discs, impaired mobility, impaired organ function, to damage to the spinal cord and nerve roots. Back Injury Minor £2,150 to £10,970 This bracket covers full recovery within 3 months, less serious strains, sprains, disc prolapses and soft tissue injuries. Arm Injury Severe £13,720 to £120,270 Impaired function, fractures,severely disabled injury, significant permanent residual disability, loss of an arm. Arm Injury Minor to Moderate Up to £11,040 Includes simple fractures of the elbow, tennis elbow, injuries resolving after one year. Hand Injury Serious £12,670 to £96,150 This compensation range is for impaired function, reduced to half the hands capacity, amputation of fingers to total loss of one hand. Hand Injury Minor to Moderate £800 - £11,640 This claim will be based on crush injuries, soft tissue, impaired function regardless of operative treatment. Hip Injury Moderate to Severe £11,0470 to £114,810 Hip replacement or other surgery, the fracture of an arthritic femur or hip, fracture dislocation of the pelvis, complicated fractures of the pelvis, dislocation of a low back joint and a ruptured bladder. Hip Injury Minor Up to £3,460 Minor injuries to the hip, recovery within 2 years. Leg Injury Serious to severe £34,370 to £120,530 Brackets include, comminuted fractures or injuries to joints or ligaments, deformity, permanent mobility, bone grafting, amputation of below the knee to amputation of above the knee. Leg Injury Minor to Moderate Up to £10,380 to £34,370 Fractures to tibia and fibula, impaired mobility, muscle wasting to complicated, multiple fractures. Ankle Injury Very Severe £27,450 to £61,110 The need for pins and plates due to ankle instability, risk of osteoarthritis, transmalleolar fracture of the ankle with extensive soft-tissue damage, to below the knee amputation. Ankle Injury Moderate £12,050 to £23,310 Brackets include fracture and ligament tears, inserted plates, risk of future osteoarthritis. Foot Injury Serious to Severe £21,190 to £96,150 Arthritis, fractures of both heels or feet, foot deformity, serious permanent disability to amputation of one foot. Foot Injury Modest to Moderate Up to £12,050 to £21,910 Brackets include, metatarsal fractures, ruptured ligaments, puncture wounds to fractures resulting in deformity. Loss of Earnings This will depend on any loss of earnings you have or any future loss of earnings, For example if you have lost £30 000 in income you could claim this back. As part of your accident at a restaurant claim, you can seek damages for the pain and suffering you have experienced. A claim can usually be made for both physical pain and psychological trauma suffered following an incident. Your payout will depend on the seriousness of your injury and the time it takes for you to recover. If you incurred any out of pocket expenses as a result of your accident at Burger King then you can make a claim for these costs. This can include any rehabilitation therapy, prescription costs and other private health costs that you were required to pay as a result of your injury. Keep your receipts to prove that you made payment for these costs. If you have incurred travel expenses as a result of your injury then you may be able to claim this back. This can include transport to and from hospital appointments to receive treatment for the injury that was caused following an accident in a Burger King. If your injury or illness meant that you were unable to attend work then you may be able to claim loss of earnings to cover the income that you missed out on. If your injury was so severe that you are unable to attend work again or are likely to miss out on future promotions then you may also be able to make a claim for loss of future earnings. If, as a result of your illness/injury following the personal injury accident, you were unable to carry out day-to-day tasks in your home and required the assistance of another person then that person may be able to claim back care costs. Slip and fall injuries can be caused by wet floors following cleaning, spillages and uneven surfaces. Numerous slip and trip hazards may exist in restaurants which is why strict health and safety procedures should be in place. Staff should be fully trained in understanding and carrying out these procedures. They should be aware of how to minimise the risk of anyone suffering a slip, trip or fall. Slip and fall injuries can have severe consequences including broken bones, ligament damage and even head injuries. The long-term consequences of this type of injury can be serious. In an environment where so much hot food and drink is prepared and served, the potential for a burn and scald injury to take place may be high for both employees and customers. Hot food and drink should be served in a safe manner, with appropriate warnings being given where there is a risk of a scald. Employees should be as well protected as possible against suffering a burn injury whilst preparing food and drink in the kitchen. If you have suffered food poisoning while eating at a restaurant or fast food outlet and wish to make a personal injury claim then you should get in touch with the environmental health department so that the restaurant can be investigated for any health and safety breaches. Food outlets are required to adhere to basic food hygiene standards. If environmental health find that the restaurant in question have failed to do so then this can help your claim. 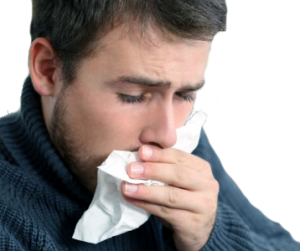 Food poisoning is not only unpleasant but can be very serious as well. It is usually caused when food is used past its use-by date, is not cooked to a high enough temperature or is stored improperly. Symptoms can include vomiting, nausea, diarrhea, stomach cramps and dehydration to name a few. If you suffer these symptoms after eating a meal at a restaurant or fast food outlet then you should contact a health care professional to seek an official diagnosis. If you have suffered an allergic reaction at a restaurant or fast food outlet then this can potentially be very serious. Burger King have a responsibility to list the main allergens contained in their food. If they have failed to do so and you have suffered an injury as a result then you may be able to make a claim. As an employee, your employer owes you a duty of care in the restaurant where you work. There are however a number of ways that you can become injured whilst at work in a restaurant or fast food outlet. Kitchen injuries are common. Dishwashing equipment. A restaurant if large and busy will usually have a commercial dishwasher. These machines can become very hot and the loading trays can be heavy. You should receive proper training on how to use this piece of commercial machinery, and it should undergo regular maintenance to ensure it is in good working order. If you have been injured by dishwashing machinery that was not working properly, or that you were not properly trained to use then you could make a claim for an accident at work. Restaurants will have a specified regime when it comes to cleaning and the types of chemicals that are used. You should be fully trained on using the correct chemicals in the proper way. If this training doesn’t take place and you become harmed by cleaning chemicals, or cause food poisoning because the chemicals have been used incorrectly, then the person who is harmed as a result may be able to make a claim. Rubbish disposal. Heavy, overfilled rubbish bags and spillages around refuse disposal areas can all lead to injury. If your employer does not have strict policies in place regarding rubbish disposal that staff are properly trained on and you are injured as a result then you may be able to seek a fast food restaurant injury settlement. Automatic cutting equipment and sharp knives are required in food preparation kitchen. If you are injured whilst using sharp knives and have not been trained in doing so then your employer may have failed in their duty of care to protect you. In a fast food kitchen, many of the processes are automated. Although this can make life easier for a fast food chef and ensure that food is prepared promptly, if appropriate training is not given on how to operate this machinery it can result in serious harm including restaurant worker burns and other manual handling injuries. The key to making a restaurant personal injury claim is proving restaurant negligence. If you have suffered a slip, trip or fall in a kitchen while at work then you will need to prove that your employer has breached their duty of care to protect you. You and your solicitor will need to ask whether the footwear you were required to wear was appropriate and non-slip, whether the floors were well maintained and whether floor cleaning procedures were being carried out properly. If a floor became excessively slippery after it has been cleaned then you may query why this flooring was not replaced. Burger King should do everything they can to protect employees from harm. If they fail to do this, then you may be able to make an accident at work claim. There are strict health and safety laws in place to protect employees and to protect consumers of food on and off restaurant premises. There are a number of regulations that food suppliers will need to comply with to ensure that they meet these health and safety requirements. They are required to maintain the restaurant building to fulfil legal requirements. This includes ensuring fire exits are available and easy to access. Food preparation law states that that staff should be trained in basic food hygiene and that food hygiene laws are adhered to at all times. They are required to carry out certain paperwork. For example, when a customer or employee suffers an injury on the premises they should be recorded in an accident book. Food labelling is essential in a restaurant to ensure that people with a food allergy do not accidentally consume an item that would be a risk to their health. Properly labelled food enables customers to make the right choices for themselves. It also enables staff to share accurate information with customers. Customers who have suffered an injury, including the potentially fatal anaphylaxis, after eating food that was improperly labelled can sue the food supplier. A child's injury A claimant has 3 years from the date of their 18th birthday to launch a claim if their parents have not already done so. If you have been harmed as a result of an accident in a Burger King then there are a number of things you can do to improve your chances of a successful compensation claim. To begin with, it can be very helpful to take photographs of the scene following the incident. This can then be used by your personal injury solicitor as evidence at a later date. Be sure to report the accident to the duty manager at Burger King. Any incidents occurring in a Burger King restaurant should be properly recorded in the accident book. If anybody was witness to your accident then it can be helpful to take their name and address and a witness statement. Your personal injury lawyer may wish to contact them again at a later date to find out more. Perhaps most importantly, it is crucial that you seek the help of a healthcare professional. This will ensure that you receive prompt treatment for your injuries and will enable you to acquire a written record of your injuries. Throughout the process, be sure to retain any receipts for travel or medical expenses and any wage slips which indicates a loss of earnings as a result of your injury. When you are ready to launch your claim then we strongly recommend you contact a personal injury solicitor who will increase the likelihood of a successful payout. You will be in safe hands with our professionals who can connect you with such a solicitor at Advice.co.uk. Here at Advice.co.uk, all of the personal injury claims we receive are connected with a solicitor who works on a no win, no fee basis. This means that you only pay a fee to your solicitor when you achieve a successful outcome in your case. The fee will then be deducted from your final pay out, meaning that you are never left out of pocket. If for any reason you are unable to claim damages, then you will not be asked to pay any money to your legal representatives. Our team at Advice.co.uk have many years of experience in helping find solicitors that are experts in bringing personal injury claims against fast food restaurants. Not only will we work with you to achieve a successful pay out, we will do everything we can to ensure that the process is a straightforward and stress-free as possible. We put client care at the heart of our business and recognise that you are already going through a stressful time both physically and emotionally. We seek to keep you fully informed about any developments in your case but we also handle as much of the paperwork as we possibly can, giving you space to recover. Contact our team by email, phone, or post. Our team will assess your claim. Once you are ready, we can then start your claim. If you wish to seek advice about a personal injury or launch a personal injury case against a fast food restaurant anywhere in Great Britain then please contact our experienced and friendly team today on 0161 696 9685 or contact us via our website and we will get back to you. If you have suffered from a burn or scald find out how much compensation you could claim for burns and scalds, some common burn injuries could be tea burns, coffee burns. All about food poisoning – NHS information. HSE – In the kitchen – HSE information on kitchen risks. HSE- Slips – This page explores slip risks.